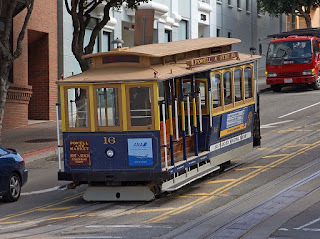 -- On August 2, 1873, Andrew Hallidie tested the first cable car in San Francisco. He conceived his idea in 1869 while watching a team of horses being whipped as they struggled to pull a car up wet cobblestones on Nob Hill. He formed the Clay Street Hill Railroad and was awarded a contract to build the city's first cable car line up Nob Hill. Fourteen months later, on Aug. 2, 1873, the first cable car made its way up Clay Street. -- An in-depth look at the history of cable cars and how they helped shape San Francisco. From building the tracks and cars to battles over the cable car's development and continuing success, this book follows both the political and social developments of San Francisco's historic public transit. • Build-Your-Own Cable Car -- Includes 2 Punch-Out Paper Cable Cars, one fully illustrated and one prime for coloring in.